In May 2014, upon the invitation of the U.S. State Department, former Comorian President Assoumani Azali visited Chicago. The Honorary Consul General of the Comoros in Chicago and Mrs. Djamila Mounia Hachim hosted a warm welcome reception at the Shapiro-Beighs residence. The venue provided guests with a luxurious panoramic view of the Chicago skyline and Lake Michigan. President Azali enjoyed meeting various international and local leaders, including Ms. Peggy Parfenoff, President of World Chicago. After being introduced by Honorary Consul General Hachim, President Azali briefly addressed the guests with the assistance of a translator. 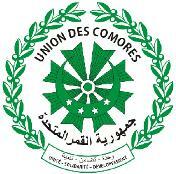 The Honorary Consulate General of the Comoros in Chicago would like to extend its deepest gratitude to the U.S. State Department, World Chicago, John Baum, Mr. Oussouf Mbae, the Shapiro-Beighs family, Ms. Persida Louison, Dr. Ana V. Castillo, Mr. Owen G. Leroy, Karl Villanueva, Andrew Dunn and all those who made this event possible.